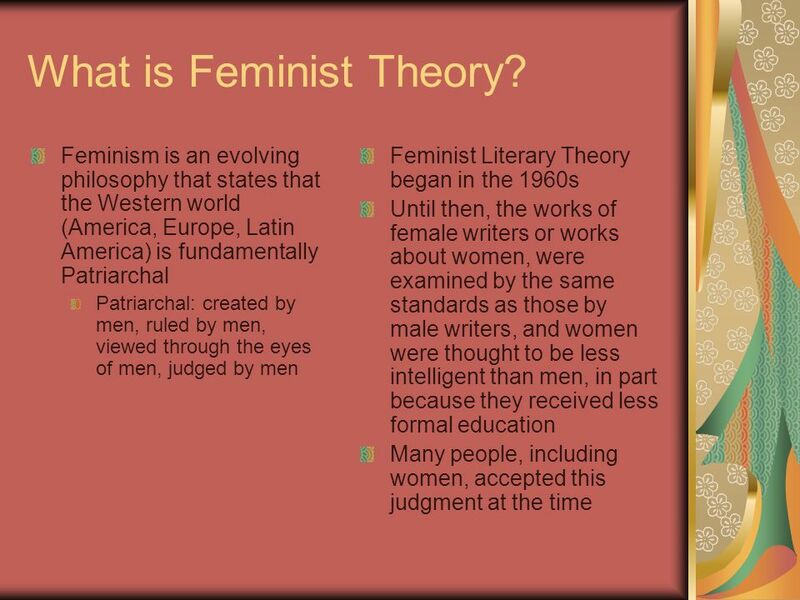 2 What is Feminist Theory? 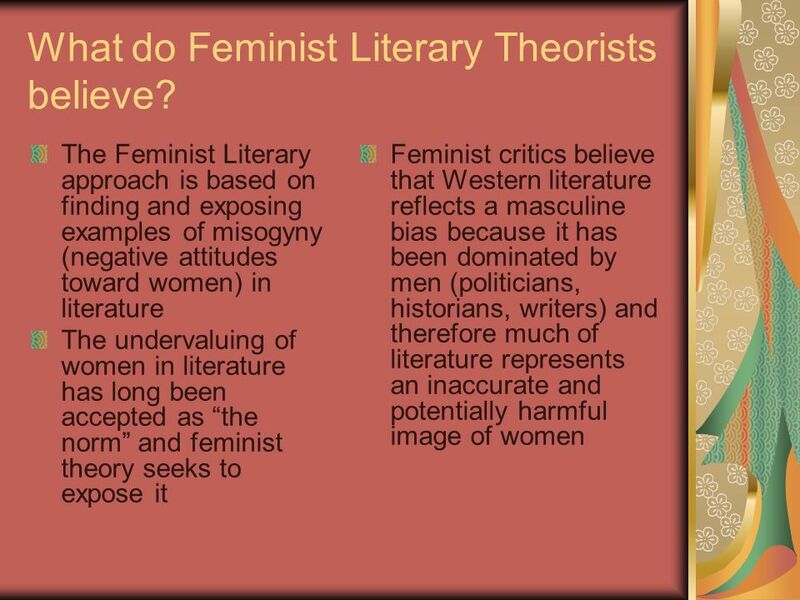 3 What do Feminist Literary Theorists believe? 4 What do Feminist Theorists do? 6 Areas of Study/Points of Criticism, cont. What stereotypes of women are present? Are female characters oversimplified? Weak? Foolish? Do female characters play a major or minor role in the story? Are they powerless or strong? How do the male characters talk about/treat female characters? How do female characters act toward male characters and toward other females? 9 Questions, Cont. 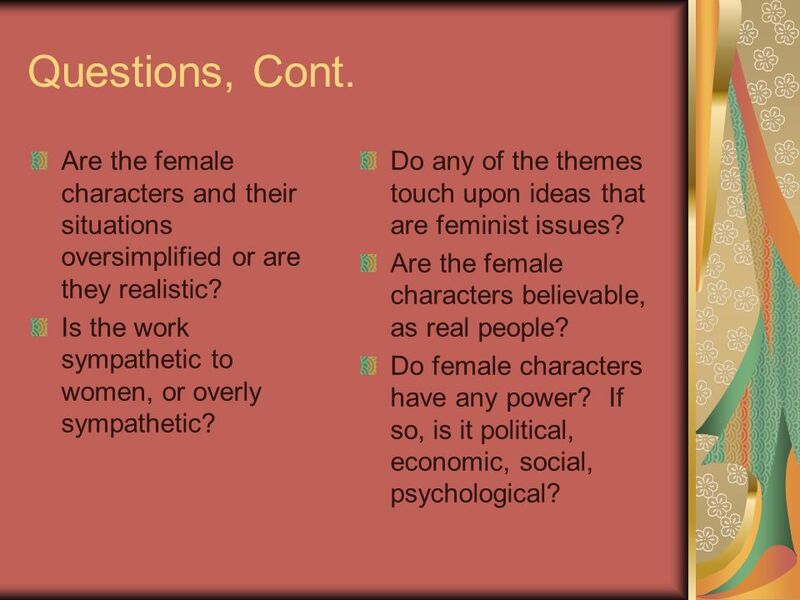 Are the female characters and their situations oversimplified or are they realistic? Is the work sympathetic to women, or overly sympathetic? Do any of the themes touch upon ideas that are feminist issues? Are the female characters believable, as real people? Do female characters have any power? If so, is it political, economic, social, psychological? Does Fitzgerald’s depiction of women seem accurate? Believable? What seems to be the overall purpose for Fitzgerald’s depicting women as he does? (satire, criticism, parody, etc.) 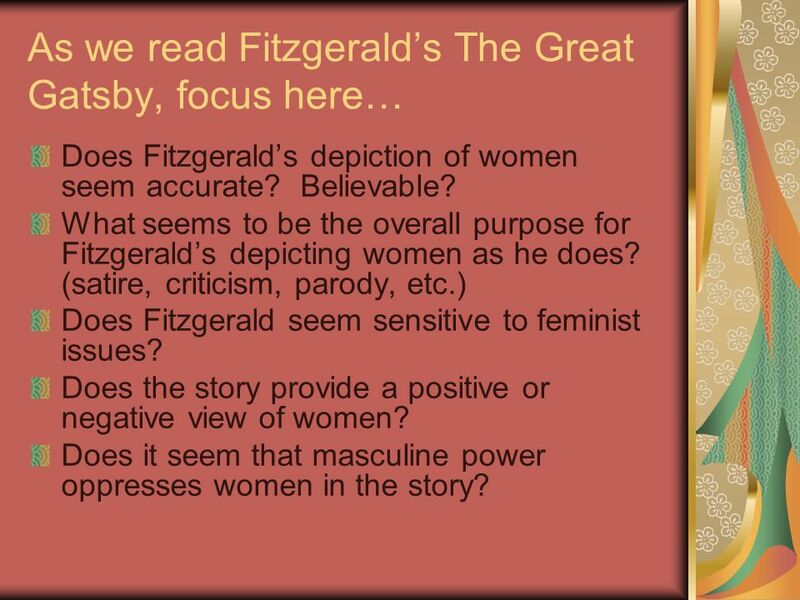 Does Fitzgerald seem sensitive to feminist issues? Does the story provide a positive or negative view of women? Does it seem that masculine power oppresses women in the story? 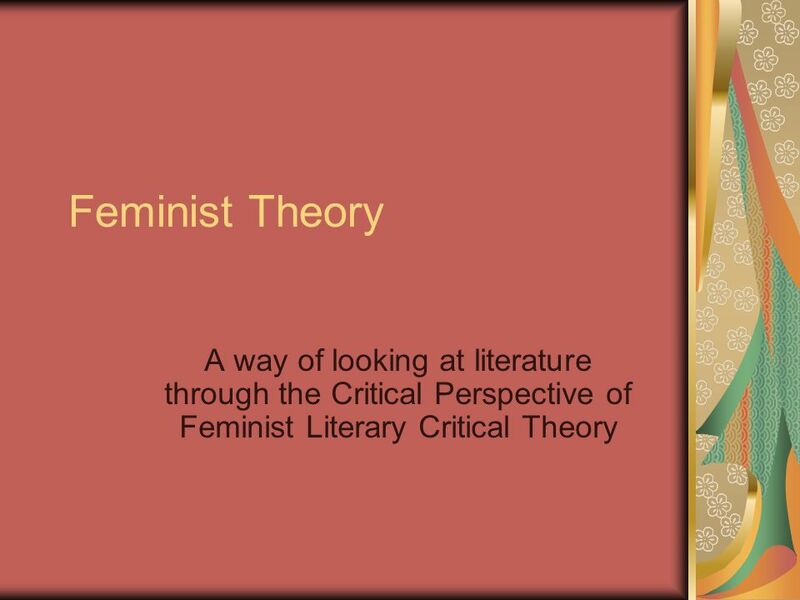 Download ppt "Feminist Theory A way of looking at literature through the Critical Perspective of Feminist Literary Critical Theory." Please turn in your Marxist lit crit practice 7 May 2013. 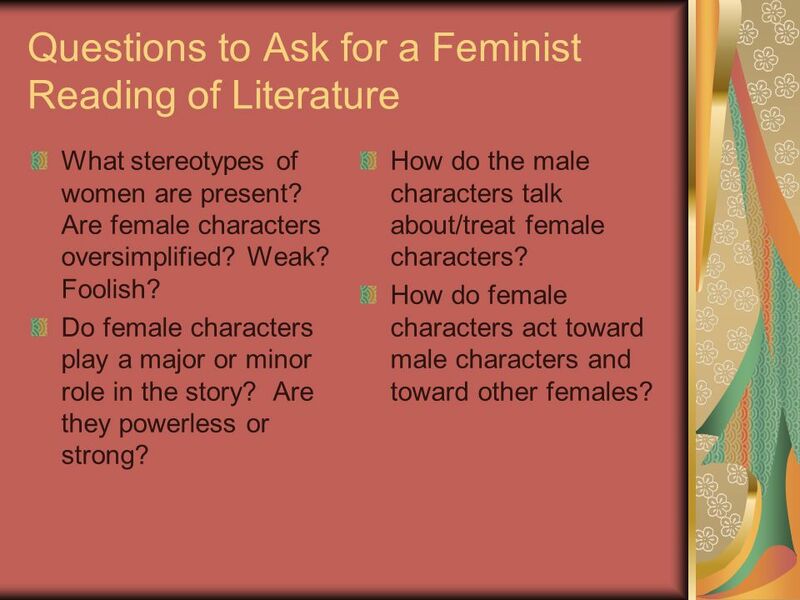 Exploring Literature through the Feminist Lens. Feminist Lens The feminist lens allows us to look at text through the eyes of a feminist to closely analyze. Jacqueline Russell. Introduction  The feminist art movement began in the late 1960s and lasted through the 1980s.  Artists in the movement sought equality. 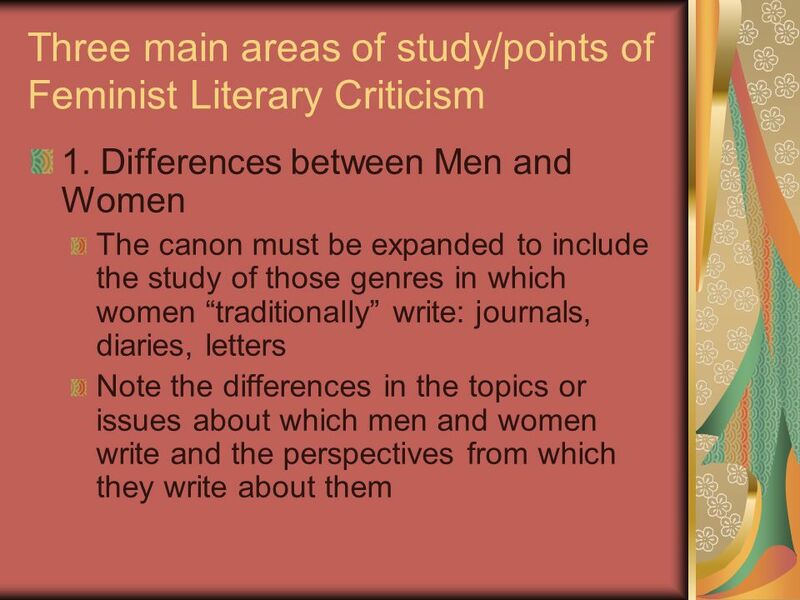 Intro to Feminist Literary Theory Also Known as: “Gender Criticism” Sociological Approach. 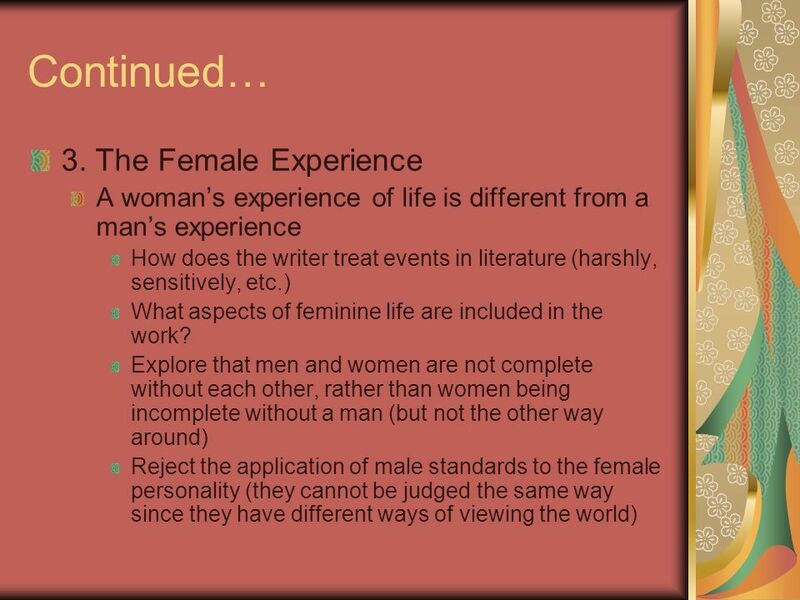 Feminist Criticism The emotional, sexual, and psychological stereotyping of females begins when the doctor says, "It's a girl." ~Shirley Chisholm. Feminist Literary Criticism. Origin Grew out of the women’s movements following WWII. 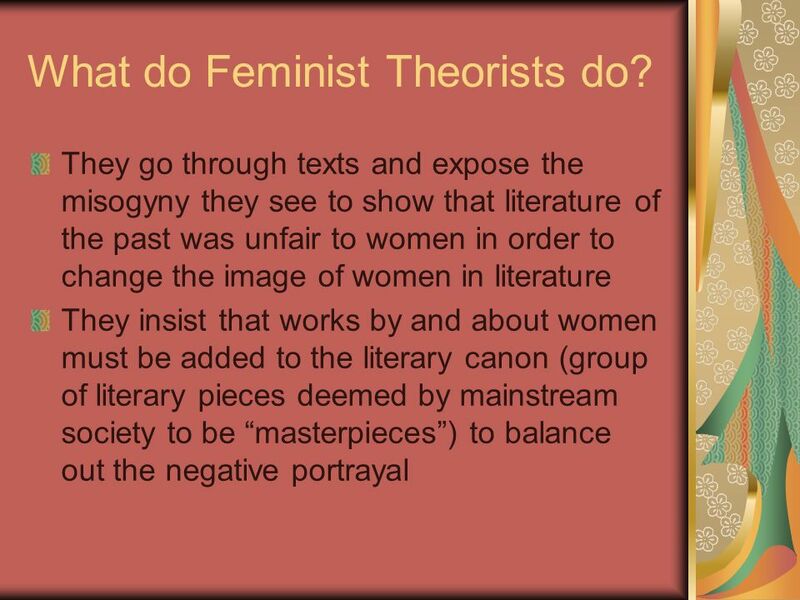 Feminism – literary theory By Dani and Em. ‘The emotional, sexual, psychological stereotyping of females begins when the Doctor says ‘Its a girl’’ – Shirley. British Literature April 29, 2008 Ms. Cares. Agenda Letter to the SophomoresLetter to the Sophomores Literary CriticismLiterary Criticism Remember to.